KK125 was created in memory of three amazing women who battled ovarian cancer with spectacular fortitude, grace and strength. Linda Marie Kacal of Pearland, TX, was blessed with multiple treasures of love, family, service and faith during her lifetime, and she left a legacy of inspiration by her volunteerism, boundless energy, positive attitude and “rock solid” faith in God. Linda was a much-loved person throughout her life, giving as much as she received. 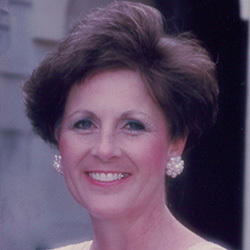 Sincere and friendly, Linda was voted “Miss Congeniality” during college at Texas A&M University, where she enrolled in 1967 along with her lifelong sweetheart and husband, Jerry Kacal. She was very industrious with a can-do attitude. She owned her own successful beauty salon to help put Jerry through college and law school. Anything that Linda did, she always made sure that it was going to be the best. Linda was strong in her faith and let that faith be her guiding light to serve as an example to everyone that she knew and loved. She was very civic-minded and volunteered at the Methodist Hospital and Charity Guild. She also served on the Pearland Neighborhood Center Board of Directors, the Pearland Republican Women’s Club and the Pearland Lioness Club. She volunteered much of her time with Meals on Wheels, St. Helen's Catholic Church and charities, and served on the PTA for her children as well as her grandchildren. Linda was a decorator, a caregiver, the “Energizer Bunny,” and an encourager to anyone who needed her. She was a loving wife, mom, and grandma, and to those who weren’t family, she was known as “Aunt Linda.” She opened her home to everyone, making all feel special. Surrounded by her loving family, Linda passed away on July 31, 2013, after a courageous six-month battle with ovarian cancer. The KK125 Ovarian Cancer Research Foundation was founded in part to honor Linda’s life and service to others. Her son, Kyle Kacal of College Station, TX, is a co-founder of KK125, and her daughter, Amy Kacal Coiner of Pearland, TX, is the Vice President of the Foundation’s Board. 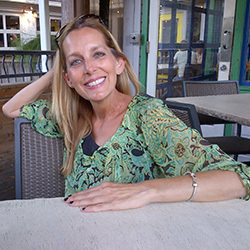 Andrea Sloan of Austin, TX, was a big-hearted advocate for cancer patients, victims of violence and others in need of a strategy to beat the odds. She was known to her multitude of family, friends, admirers and supporters as a spitﬁre of generous, loving exuberance who blogged quips of wisdom, advice and encouragement for the battle at hand. And she was known to the world as “Andi,” who built an army of advocates to reform Compassionate Use policies in the United States. Andrea’s advocacy career began at the Capitol, where she worked ﬁrst as a page and then as a Legislative Aide for Rep. James Hury and Rep. Jim McReynolds. After ﬁnishing law school in 1997, she had a litigation practice at a major ﬁrm for eight years while she simultaneously served meaningful causes, including the Texas Freedom Network, the Texas Hill Country Ride for AIDS and United Way of Central Texas. But her natural talent was advocacy, and soon she got the chance to practice “serving up a bowl of justice” – what she called her passion in life. In 2005, Andrea was named to her longest and last post, as Executive Director and General Counsel for the Texas Advocacy Project. There, she oversaw a staff of attorneys providing free legal services to victims of domestic violence and sexual assault. She loved being a voice for those in need, and during the last years of her life, she became both the advocate and the voice that must be heard. Andrea fought ovarian cancer for more than seven years, and in 2013, her medical team at MD Anderson Cancer Center in Houston told her that her last, ﬁnal and best hope for treatment was a class of drugs not yet approved by the FDA; Andrea readily agreed to take the drug, but the manufacturer of the drug, BioMarin, turned Andrea down – not once but several times – dismissively stating that they did not have a compassionate use policy in place for the drug. Not content to allow a pharmaceutical company to block her only chance of survival, Andrea and her fast-growing bloc of supporters and fellow advocates took to the airwaves and social media in the form of “Andi’s Army” to draw attention to the need for reform of federal laws governing compassionate use of drugs for patients who will otherwise die without them. Andrea ﬁnally gained access to the drug – from a different pharmaceutical company than BioMarin – and she referred to the company as her “White Knight.” All tests pointed to success; the drugs were working! But the months of waiting to gain access to the drug and for the FDA to give its stamp of approval had severely diminished much of Andrea’s health, and the ﬁnal challenge of pneumonia proved insurmountable to her physical body. Andrea passed away on January 1, 2014. She was to turn 46 years old later that month. Four months before she died, Andrea blogged that she loved and appreciated her life, adding that she would not choose to rewrite any part of her story because to do so would be to take away her “cancer blessing.” She left a legacy that must continue to ensure that more late-stage patients are permitted to access newly-developed, life-saving breakthroughs in pharmaceutical science. Andrea’s life and advocacy were an inspiration for the formation of the KK125 Ovarian Cancer Research Foundation. Andrea Sloan’s best friend, Michelle Wittenburg, is the President of the Foundation’s Board. 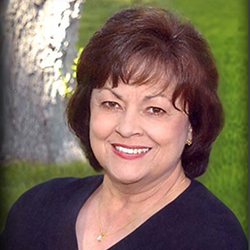 Paulette Brooks King was a lifelong resident of Canadian, TX, who was known as a loving wife, mother and grandmother, and a faithful friend to many. She was blessed with such grace, strength and dignity as to be a shining example to all who knew her. Born, raised and schooled in Canadian, Paulette was the youngest of eight children and the apple of everyone’s eye. Her sisters used to tote her all over town with them, and her darling personality charmed everyone. In her teens, while she was working as a car-hop at a local drive-in, she met her future husband, Buddy King. That year they began a lifelong partnership that would produce a large, loving family and a fruitful business where she worked as a partner and bookkeeper. Paulette was very dedicated to her children, attending every sporting event, dance recital, school play and rodeo competition. She was an excellent cook, and the whole family looked forward to sharing her meals at holidays and other get-togethers. Paulette had an eclectic assortment of cherished friends. She could always make anyone feel loved and welcome. She always focused on the positive and refused to spend time on anything that wasn’t an improvement. She was a longtime member of the Abundant Life Assembly of God and was very active with her church. Paulette was the pillar of her tight-knit family. She seemed to know the answer to everything. She was smart and intuitive about matters from business to personal, and she was keen to help her friends and loved ones solve any problem. She was a great example to her children of how to be strong and loving people of faith. In her later years, she devoted more time to serving at her church and enjoyed traveling to antique auctions with Buddy. She looked forward to seeing their many friends from the antique world who lived near and far, but was just as happy to return home to her children – and especially her grandchildren. She remained a devoted wife who cared for Buddy after his heart surgery, even while ﬁghting her own battle with ovarian cancer. Paulette passed away on September 12, 2013 in Canadian after a year and a half battle with ovarian cancer. In her ﬁnal weeks, Paulette amazed her family with her extraordinary faith, grace and dignity. She told the family not to be mad at God but to remember to thank him daily for every blessing. The KK125 Ovarian Cancer Research Foundation was founded in part to honor Paulette’s life and inspiration. Her son, Ken King of Canadian, TX is a co-founder of KK125, and her granddaughter, Kimberly Aufill, also of Canadian, TX is the Secretary of the Foundation’s Board.